This formula, containing pro-vitamin B5 and aloe, will leave hair shiny, manageable and looking salon-healthy. Banish oily strands for good with TRESemmé® Purify & Replenish Deep Cleanse Conditioner. Our conditioner for oily hair will give both your hair and your confidence a boost. 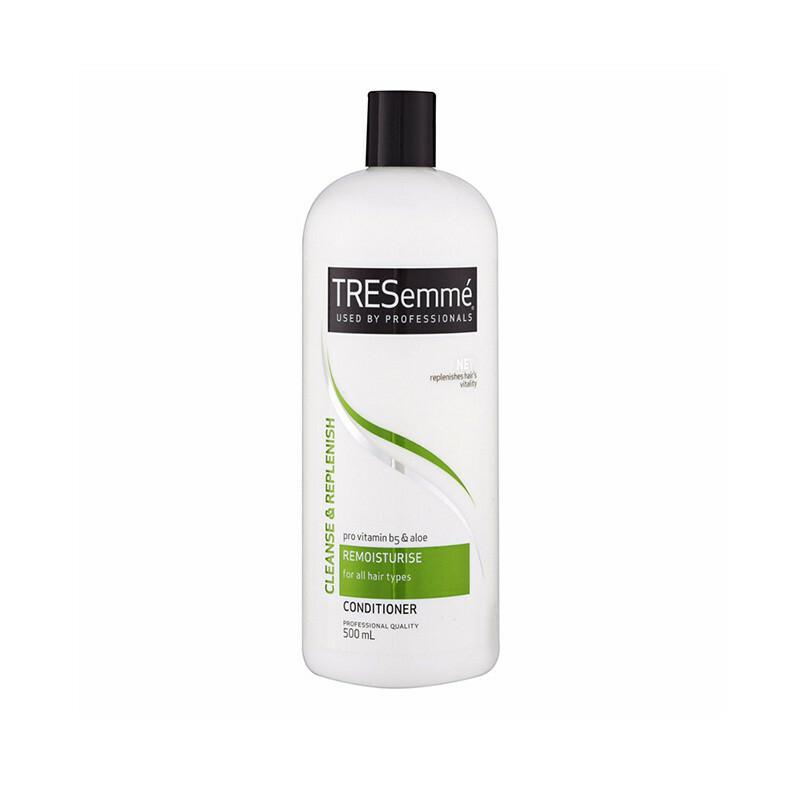 How to restore shine to oily hair with TRESemmé® conditioner: Begin by washing hair with TRESemme Purify & Replenish Deep Cleanse shampoo. Apply Tresemme conditioner from mid-shaft to ends, using an adequate amount based on the length of your hair. Work any excess conditioner through to the roots. Run a wide-tooth comb or your fingers from roots to ends to detangle and fully coat with conditioner. Leave on for 2-3 minutes, then rinse thoroughly. This conditioner for hair in need lightly conditions without leaving heavy residue buildup. Formulated with Pro-vitamin B5 and aloe, this oily hair conditioner creates soft, shiny hair that's the perfect canvas for styling. Aqua, Cetearyl Alcohol, Dimethicone, Stearamidopropyl Dimethylamine, Behentrimonium Chloride, Aloe Barbadensis Leaf Juice, Algae Extract, Hydrolyzed Keratin, Hydrolyzed Wheat Protein, Citrus Limon (Lemon) Peel Extract, Cucumis Sativus (Cucumber) Fruit Extract, Ascorbic Acid, Tocopheryl Acetate, Panthenol, Citrus Grandis (Grapefruit) Fruit Extract, Niacinamide, Biotin, Parfum, Dipropylene Glycol, Potassium Chloride, Lactic Acid, Amodimethicone, Disodium EDTA, DMDM Hydantoin, PEG-150 Distearate, Cetrimonium Chloride, Polysorbate 20, Methylchloroisothiazolinone, Methylisothiazolinone.